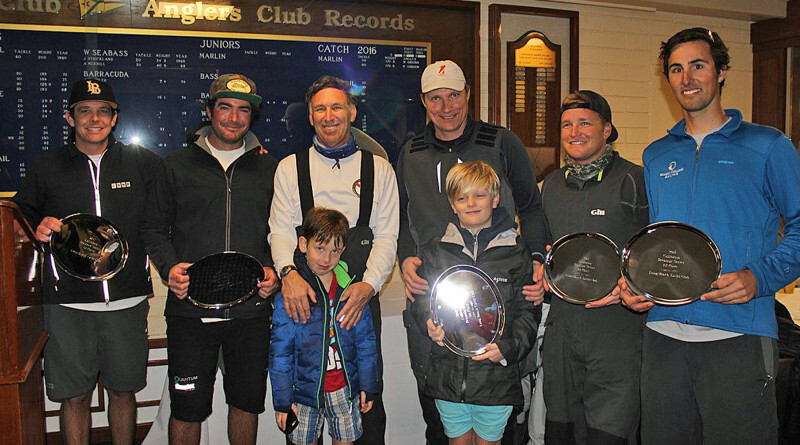 LONG BEACH — Shane Young and his Long Beach Yacht Club team won the second round of the three-venue World Sailing Grade 3 California Dreamin’ Series match racing series on Feb. 26. The regatta was held at Long Beach YC and raced on the Long Beach Sailing Foundation’s fleet of Catalina 37s. Young was nearly unbeatable for the weekend, losing only one race to fellow Long Beach YC member and Junior Staff Commodore, Dave Hood, who finished fourth in the regatta. Having finished in second place at the first stop of the series at San Diego Yacht Club, Jan. 7-8, Young now sits in first place in the series standings, just a few points ahead of St. Francis Yacht Club’s Nicole Breault, who finished in first at San Diego YC and third at Long Beach YC. Breault is currently second in the series standings. The next, and final, stop on the series is at St. Francis YC, March 11-12. Third place to-date in the series standings is St. Francis YC’s Russ Silvestri, who was close to Young throughout the weekend, taking second place in the regatta after having placed third at San Diego YC. In a little more than a weeks’ time, however, Silvestri and Breault will be racing on their home waters on the club’s J/22s in the sometimes-challenging weather conditions of San Francisco Bay. Young has quite a bit of experience in these boats in the Bay and will need to finish near or at the top to win the series. This past weekend’s weather seemed to have its own agenda, which didn’t seem to match with the weather forecaster’s versions. The Long Beach YC race committee team worked through very changeable light to heavy wind starting out at less than three knots on Feb. 25 and then gusting to as much at 17 knots on Feb. 26, for a brief period of time just prior to dropping to less than five at the end of the regatta. With all of the delays for lack of wind at the start of Saturday’s matches, and course relocation mid-day both days for 180-degree wind shifts and rain on Sunday, the race committee was able to complete 52 of the 56 scheduled matches of the double-round robin format. Full results of California Dreamin’ Series Long Beach Stop are available at lbyc.org.